Good evening, Archway Lincoln families! There is a lot of news in this update, so please read all the way through. Mother-Son Shindig is Tomorrow Night! We are looking forward to seeing all our moms and their buckaroos on Saturday, April 16th from 4:30 to 6:30 at Superstition Farms. There are still a few volunteer slots open and we can always use donations for purchasing water. Check the donations/volunteer page for details. While the pre-sale of tickets has ended, you can still purchase them at the door for $20/pp (max $60/family). Directions to Superstition Farms is on their website. If you have any questions, please don’t hesitate to contact Archway Lincoln PSO. Our next Family Fun Night is Tuesday, April 19th from 5-9 p.m. at Zupas Cafe across Gilbert Road in Crossroads Towne Center (near Bank of America and Chili’s). We only get credit for dine-in dinners, so please plan accordingly. Zupas has an amazing menu of fresh soups, salads, sandwiches, and some rockin’ desserts! If you haven’t tried it yet, now is the perfect time! Your kids will receive a flyer in their folders next week, but you need only tell the cashier you’re supporting Archway Lincoln. Remember, anyone can come out and support us…friends, grandparents, aunts, uncles, neighbors, so spread the word! We’ll see you Tuesday at Zupas! The theme for this year’s spring music concert is “Music from Around the World.” To help make the gym look more festive, we’d like to borrow some of the wonderful things you may have collected in your family’s travels (prints, posters, wall hangings, masks) or things you have around the home (globes, pictures of exotic places). View this sign-up for an idea of what we’re looking for and when we need it. Please be sure to LABEL all of your items and make sure they’re not extremely fragile/breakable. You’ll be able to take the items with you at the end of the upper grade concert, or they will be returned to you in the days following. Don’t forget that we also want pictures of your children/family from travels you’ve taken! Archway Lincoln has a wonderful, diverse, well-traveled community and we want to celebrate that. Submit 1 4×6 or 5×7 picture per family labeled with your family’s name and the picture’s locale to Ms. Blasi before Wednesday, April 27th and we will post them all on a giant collage in the gym. You will NOT get these pictures back, so please don’t send in originals. For more details, visit Ms. Blasi’s blog. Ms. Blasi and Ms. Boswell thank you! Our next general PSO meeting will be Tuesday, May 3rd. We’ll have two opportunities to meet with PSO leaders: 8 a.m. and 7:00 p.m.
On the agenda will be a preview of some of the events we’re already planning for next year, guidelines for teacher gifts and end-of-year appreciation, and an overview of the PSO positions we have open for next year, including the effort/time involved. We will be raffling off a gift card to a local restaurant at each meeting! Perfect for a date night! No registration or sign-up is necessary. If you can make it, please come. We look forward to seeing you! 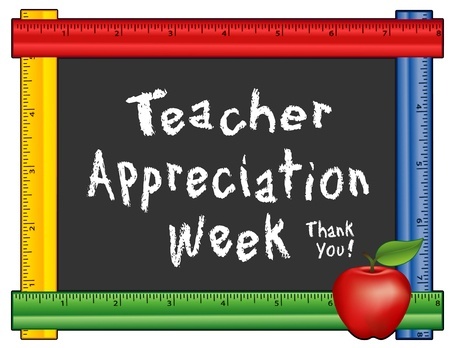 We are gearing up and planning for a wonderful Teacher Appreciation Week May 2-6, 2016. Be on the lookout for sign-ups to help with lunches, breakfasts, and snacks for our amazing teachers. While PSO is planning something special each day, you and your child are encouraged to show their teachers how much they’re appreciated by making cards, sharing nice words, or other thoughtful gestures. Please remember it is against school policy to take up a collection of cash to purchase a class-wide gift. If you have any questions, please email Archway Lincoln PSO. 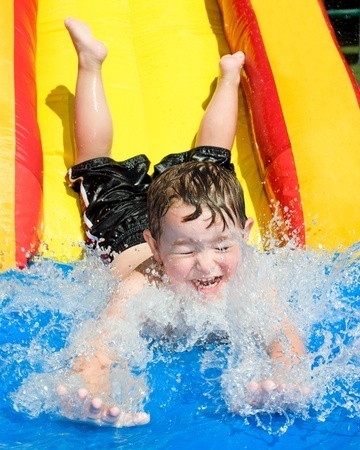 Be sure to mark your calendars for our end-of-year pool party at Hamilton Aquatic Center (adjacent to Hamilton High School) on Saturday, May 7th from 6 to 8 p.m. It’s a great place for families to play! We’ll have pizza for purchase, but you can always pack a picnic dinner, too. Please remember no glass containers or alcohol is allowed at the aquatic facility. More details are coming, so stay tuned! ← Today is the LAST DAY to Pre-Purchase Mother-Son Shindig Tix!